Explore Learning came into school to launch their writing competition. The children have to write a story on the theme change the world. The winner will have Alesha Dixon come into their school to do an assembly and they will also win a family holiday to Disneyland Paris! Hopefully, we will have a winner from Denton West End! 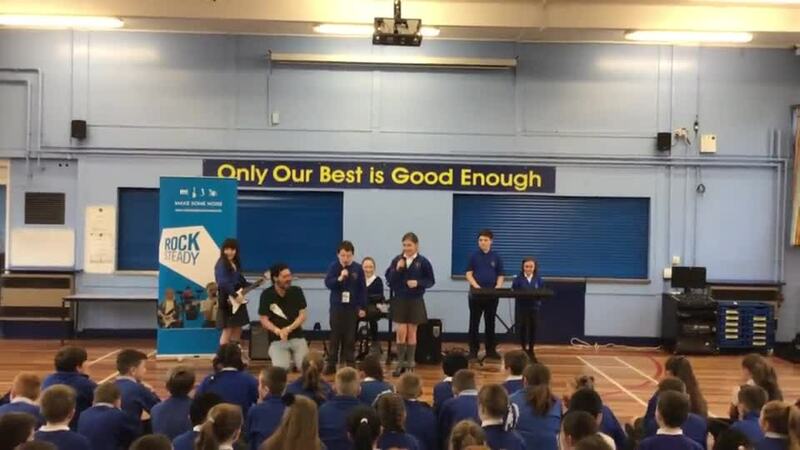 Rock Steady came into school and did workshops for children in KS2. 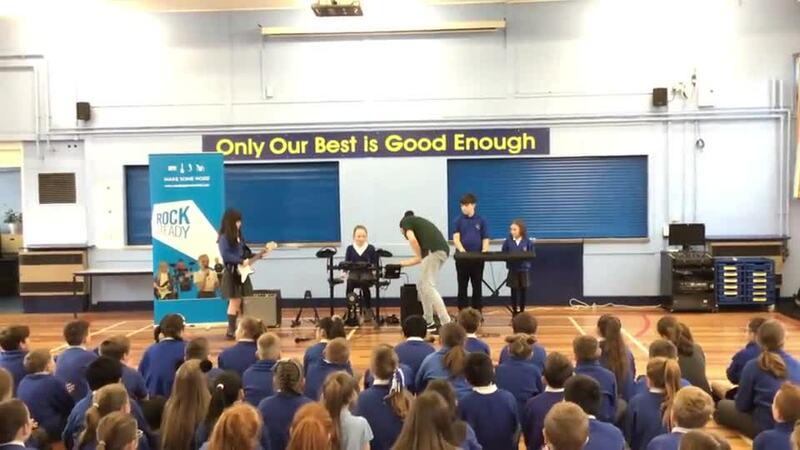 They taught children to play instruments and sing to We Will Rock You by Queen in just 30 minutes! The children enjoyed it a lot and are looking forward to Rock Steady setting up a school band. We pride ourselves on ensuring our work is of a high standard. These are some examples of our excellent handwriting linked to Culture and Diversity Week. 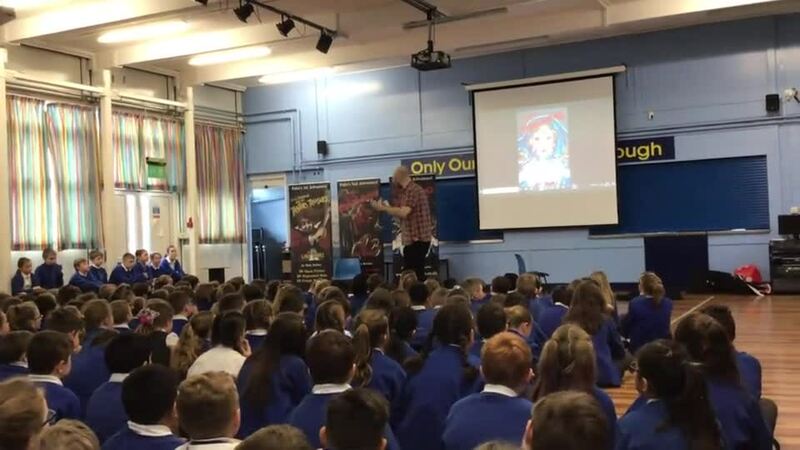 The author Luke Temple came into school to tell us all about his books. He gave us teaser about what his book are about and talked to us all about what it is like to be an author. 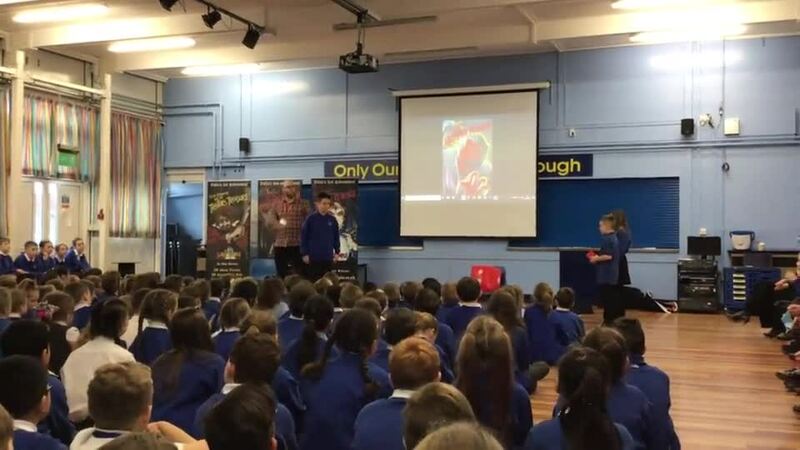 He will be coming in also to sign any books bought by the children and the school for the school library. 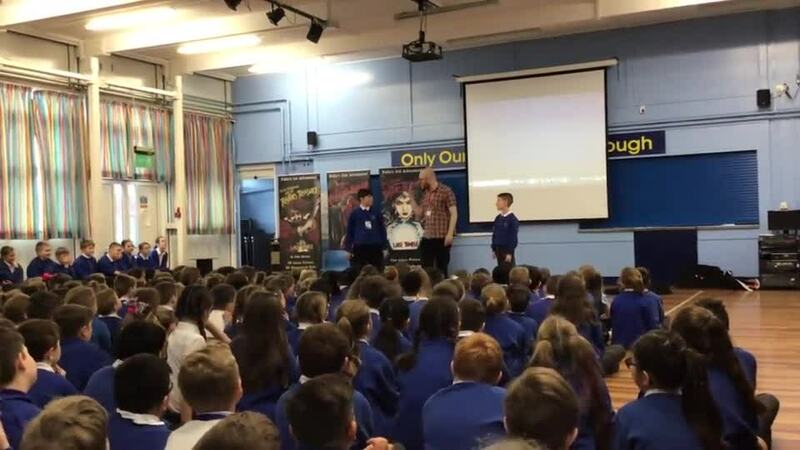 He has written about his visit on his blog thistlewick.blogspot.com and how much he enjoyed coming into our school. We held our first Red Carpet Assembly on Friday 11th January. Special lanyards were awarded to the children and Mr Hesford, our Site Manager, came along to present them. The children are proud of their achievements and it's lovely to see the children wearing the lanyards around school. The Year 5 and 6 pupils from the school choir were invited to sing at the Dementia Association Party at Denton Golf Club. The children performed Christmas songs and the room was full of Christmas cheer! 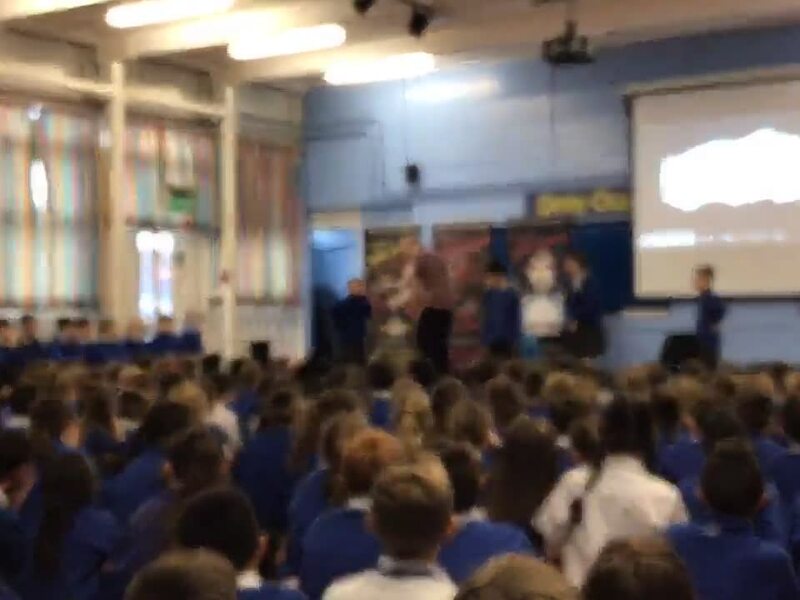 On the 30th November, key stage 2 learnt how to become internet legends with help from an assembly presented by Google. The children learnt all about sharing information, safe passwords and much more. 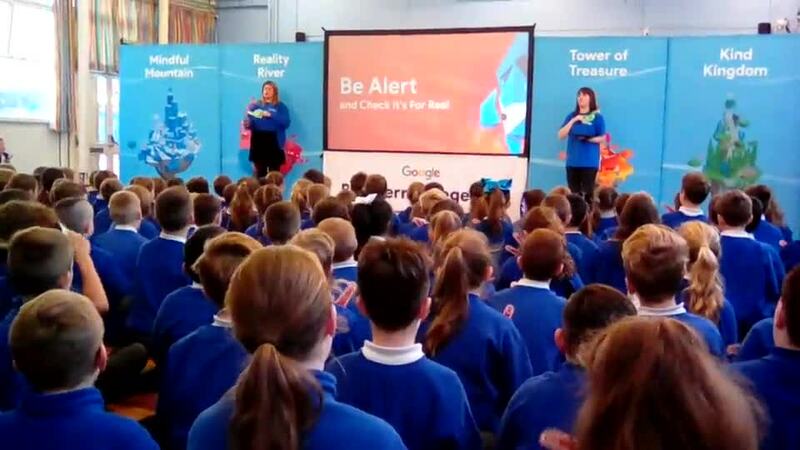 We hope the children now apply this knowledge to when they are online to keep themselves safe. Well done to all the pupils at Denton West End for creating a wonderful poppy display in the junior hall. The artwork was entered into an art competition where we came runners up! As a result, the school has been awarded £100 in art supplies. All year groups enjoyed a visit from Tommy Atkins to teach us all about life as a soldier during World War 1. The children really enjoyed trying on the clothes and handling the equipment. Denton West End celebrated Diwali by creating rangoli patterns and diva lamps. They also learnt an Indian dance. To commemorate the centenary of the First World War, Denton West End pupils have created a wonderful poppy display in the junior hall. 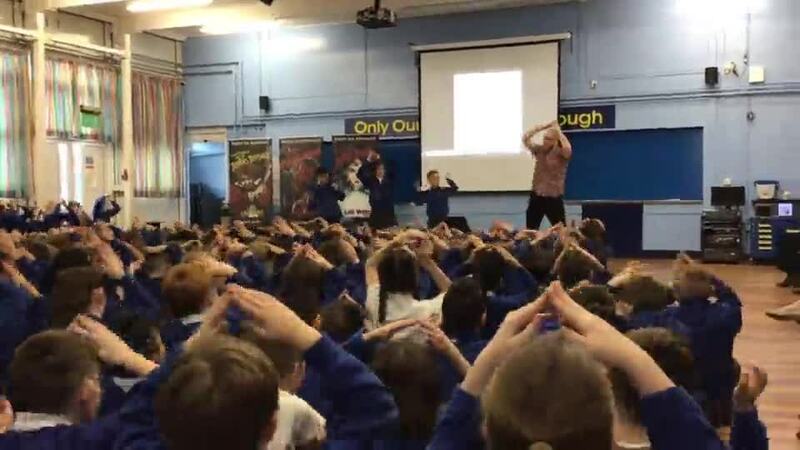 Denton West End learnt about Judaism and Jewish culture during a school assembly. On Wednesday 26th September, NSPCC visited school and taught us how to be safe and secure and who to contact/talk to if we are feeling worried and unsafe. 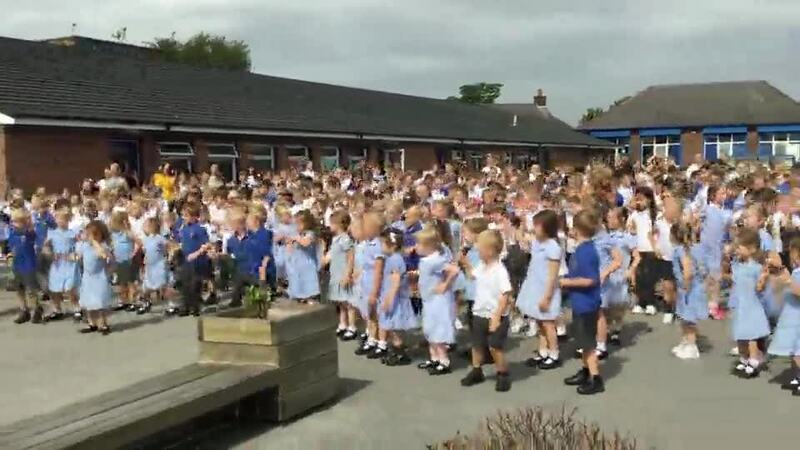 On Monday 23rd July, the whole school took part in a danceathon to raise money for our school charity for this year, Cancer Research. All of the children (and staff!) 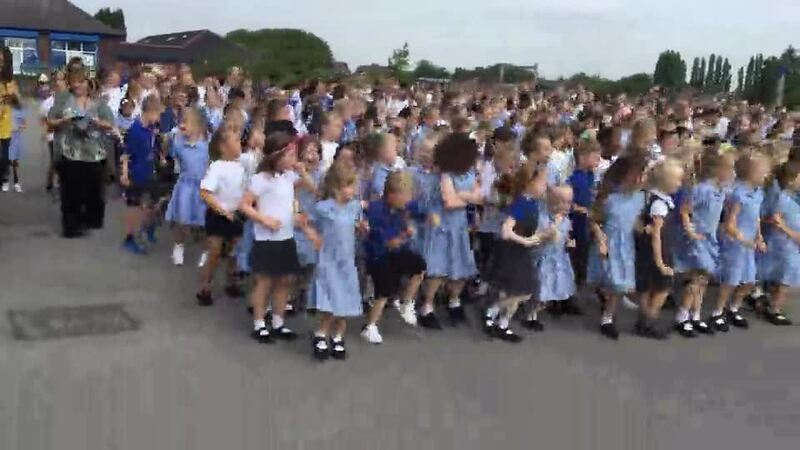 from Nursery to Year 6 took part in dances led by Miss Hocknull. Thank you to parents for donations for our charity - the children definitely enjoyed themselves too! 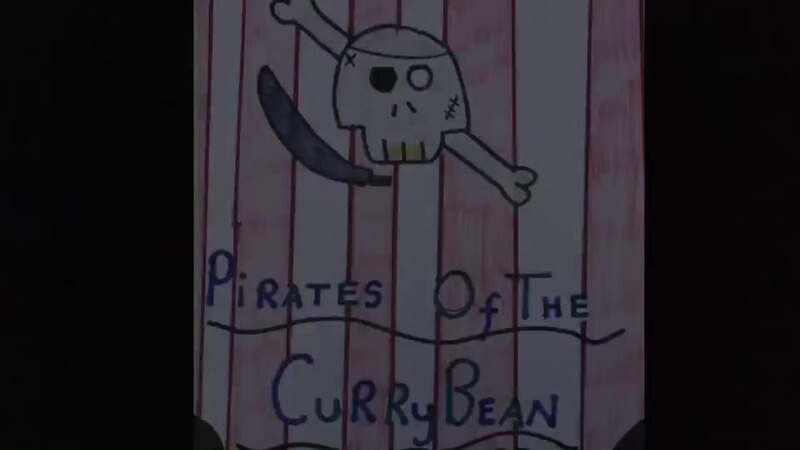 Here is the trailer for the Year 6 Production, Pirates of the Curry Bean. We are having great fun learning our parts and are working very hard! The trailer has been made by Matthew Wa and Nathaniel. On the 24th May, our school was open to visitors to walk around and see all the wonderful work we do here at Denton West End Primary School. In the hall, we had some special performances from children who do music lessons through school, year 5 danced, year 4 played their violins and the choir performed songs they have been practising for the Denton Big Sing. Thank you to everyone who came! Key Stage 2 had their sports day on Wednesday 23rd May. The weather was fantastic and we had a great day. Thank you to all of the parents, families and friends for their support. Well done to Walliams for winning! Children from our school choir had a fantastic performance opportunity to sing at a highly prestigious event of the Lord Mayor's Ball. Children sang songs with members of another schools choir and really impressed the audience. It was an amazing night and the children represented the school brilliantly. Please enjoy the clips of their performances. This term, reception have been learning about different celebrations. Children have been using this as their theme for their writing. Each child wrote an invitation for one of their grown ups to come to our reading party. This was a fantastic opportunity to celebrate the joy and value of books and reading. During the session children were able to read their favourite stories, make a hat, colour and make a gingerbread man as well as sharing a sandwich that they had made. What a lovely afternoon! Thank you to all the grown ups who attended.